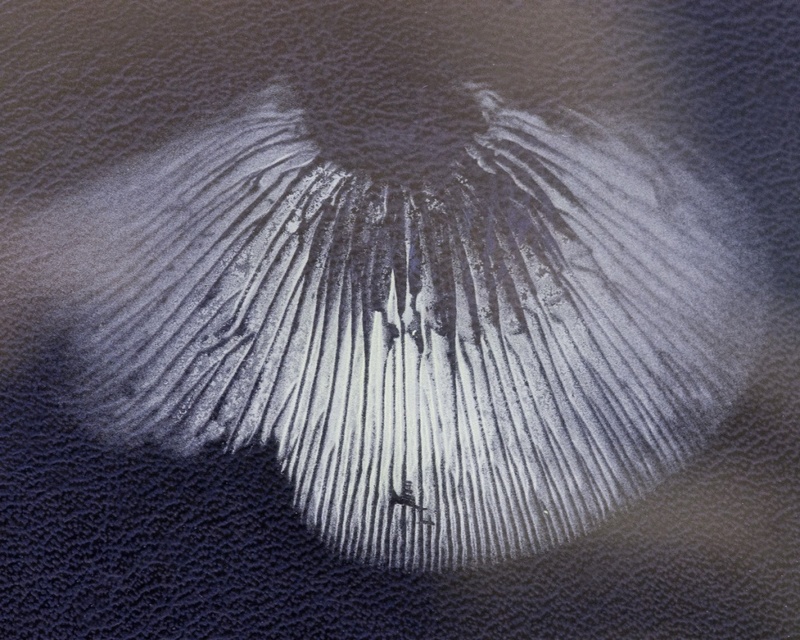 Lactarius deterrimus is a large milkcap with carrot coloured gills and greenish tints as it matures. 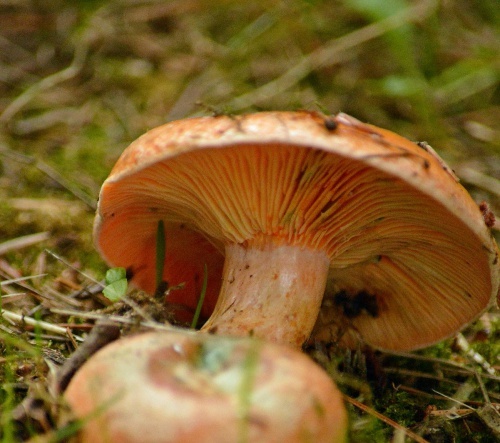 A distinctive feature is the latex (milk) exuded from cut or torn gills, which changes from carrot orange to dark red as it dries. Spore print dull pink. 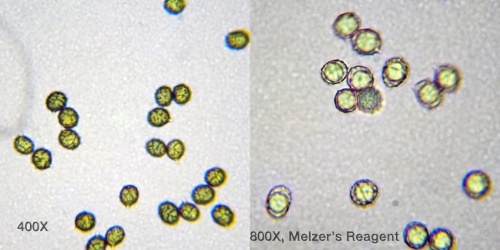 Spores subglobose (flattened spheres) to ellipsoidal, 7-10 x 6-7µm, covered with warts joined by lines to form an incomplete network. Usually with spruce but occasionally reported with pine. 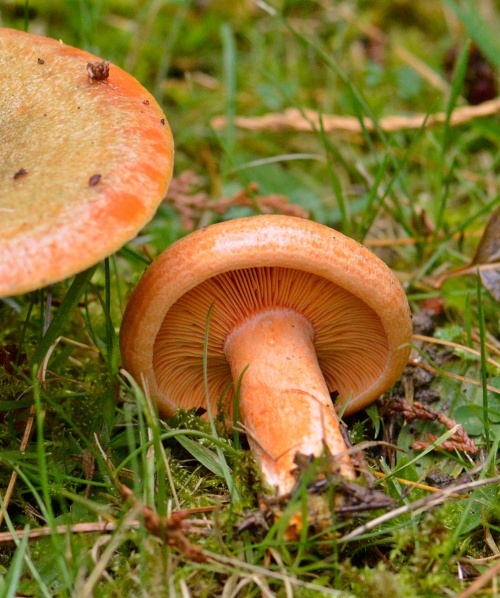 If found under pine it could be confused with the much less common Lactarius semisanguifluus which looks very similar but associates only with pine. 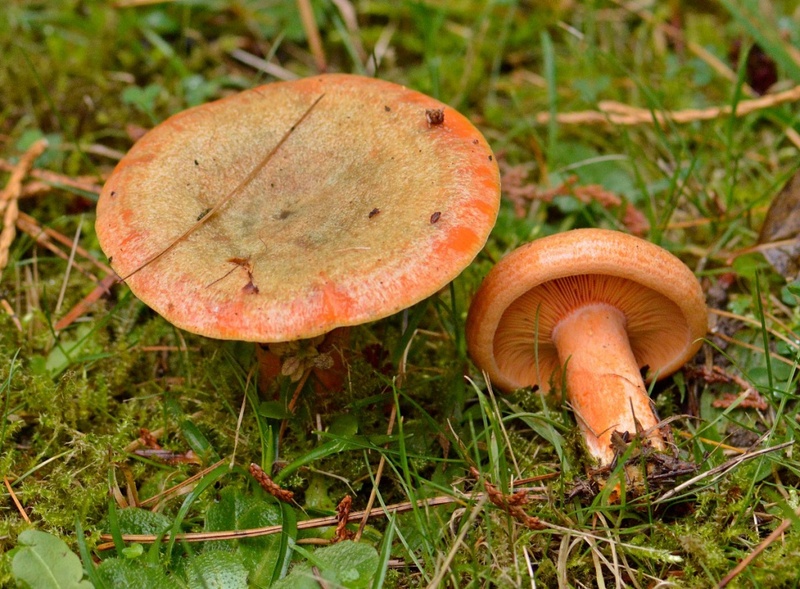 Note also that the very similar Lactarius deliciosus also favours pine. August to October or November. 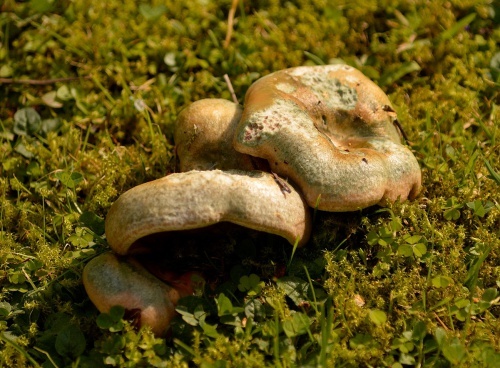 Quite common with spruce in parks, gardens and churchyards.